Crete Christmas is a particularly festive period characterized by the spirit of these holy days. Being influenced by the Western European culture, Christmas is bright, full of lights and ornaments. The shops and generally, the streets of the cities dress up their festive costume from early December to welcome the celebration of the Holly Birth. 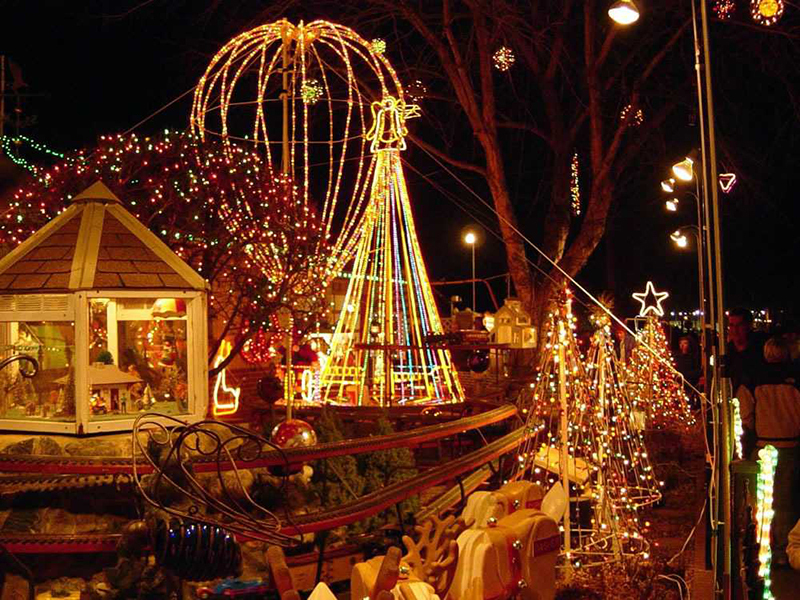 Impressive decorations and countless lights make majestic scenery. 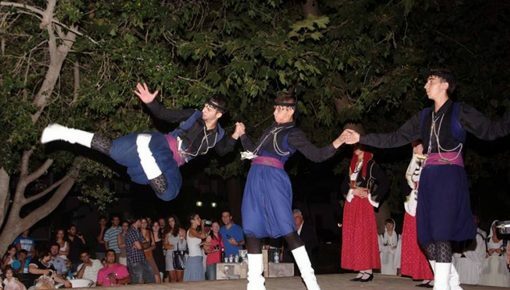 Despite this influence, the traditional Cretan customs are still alive in most areas of Crete. Christmas Tree Or… Christmas Ship? 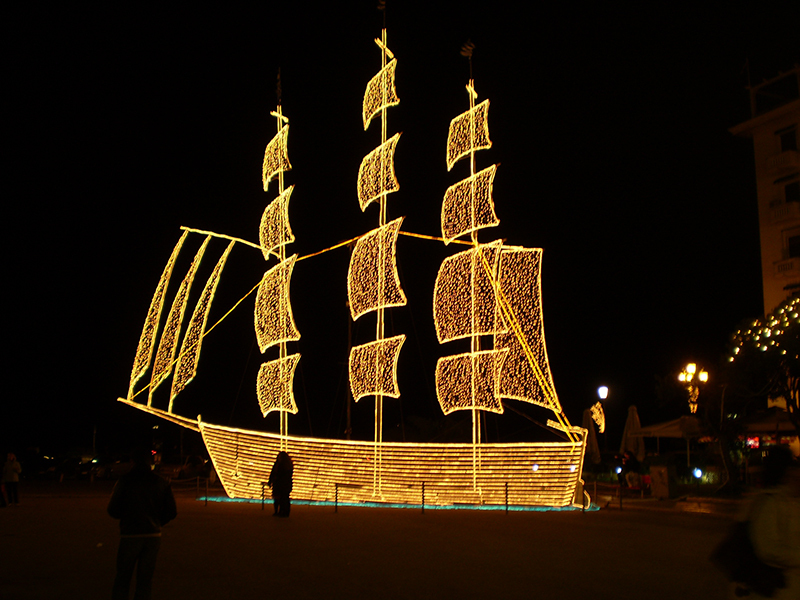 The decoration of a wooden model ship, with Christmas lights is an old Greek custom that is still alive in the Islands. In the past, during the Christmas time the family would decorate a small wooden boat to symbolise their thankful spirit for the safe return of the father and his sons against the odds of nature and the harsh winter sea. As in other places of Greece, the Crete Christmas tree has a special place in every home. This custom did not exist previously in Crete, but it was a result of globalization from the west. 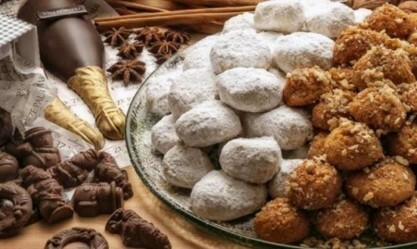 Housewives of Crete make various traditional sweets, with the most common to be “melomakarona” and “kourampiedes” (sugared bans). 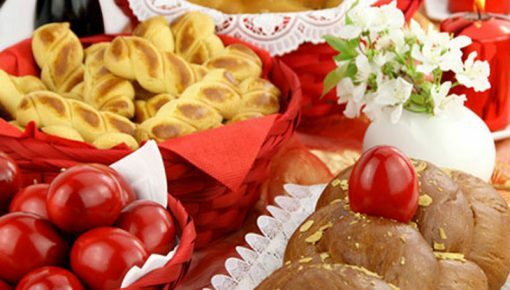 In the past, “melomakarona” were mainly eaten in Christmas day and “sugared buns”, exclusively in the New Year. 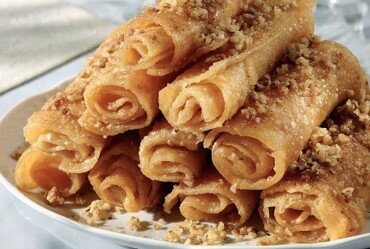 Also, in many houses of Crete, you may find “avgokalamara” (crispy fried dough with honey syrup, cinnamon and nuts. Do not waste the chance to taste them! 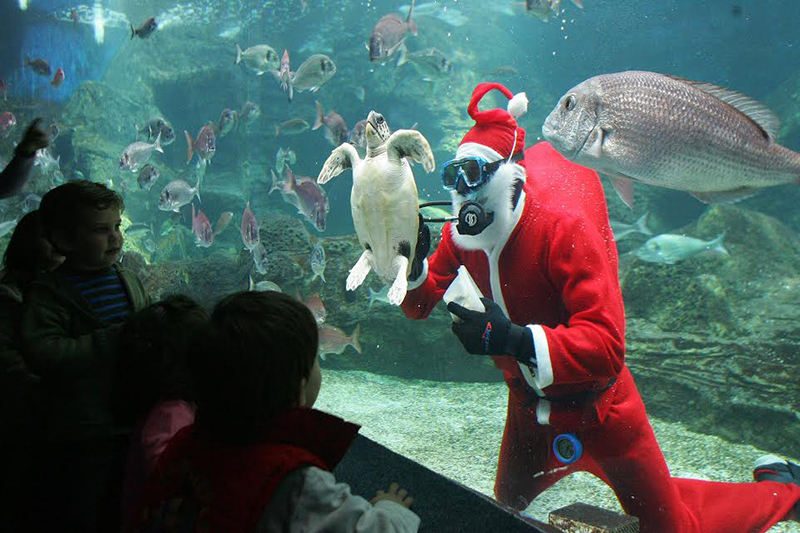 Every Christmas, In a beautifully decorated bottom, the Cretaquarium welcomes Santa Claus and his beautiful mermaid, with important musicians, actors, dancers, magicians, etc. There will be many beautiful surprises for you and your children: melodic Christmas and traditional sounds, impressive dancing, beautiful performances, spectacular magic, unique tours, fun and educational games, festive constructions. 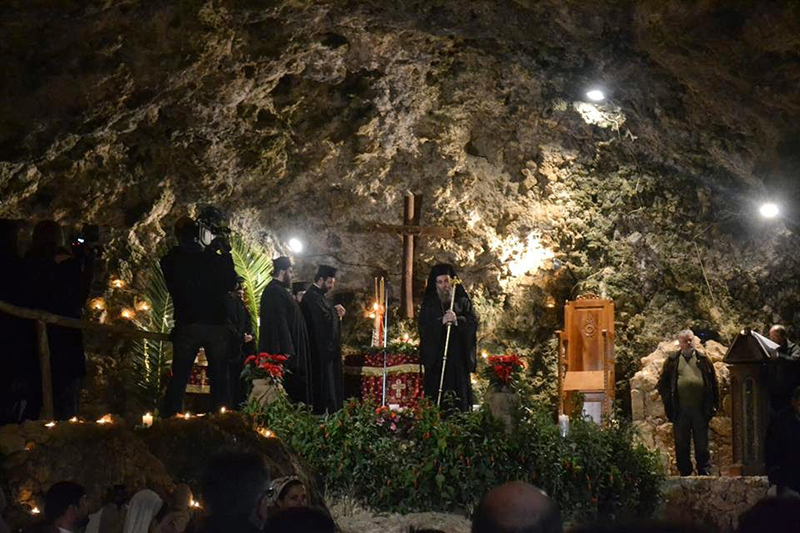 If you spend your Crete Christmas, it is worth a visit at the cave of St. John in Marathokefalas, Kissamos, on Christmas Eve. You will have the chance to attend the Hierarchical Divine Liturgy and see the representation of the manger where Christ was born. You will see real sheep, shepherds, bells, fire and a star shining on top of the cave. The atmosphere in the cave is really spiritual! 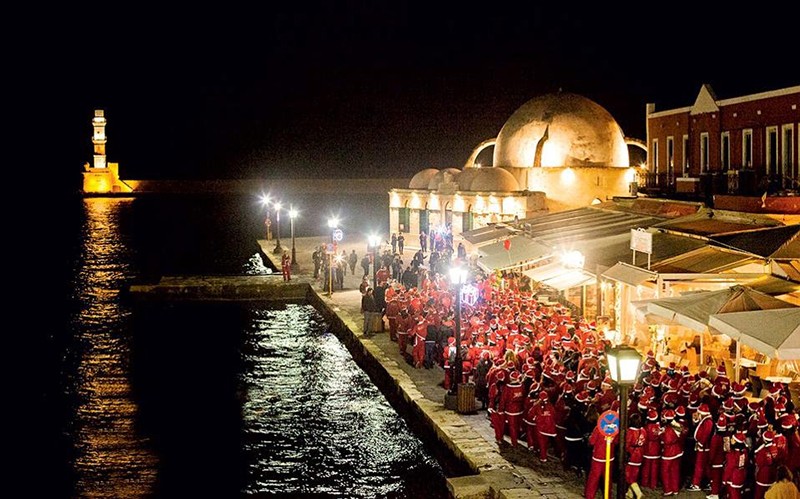 The last few years, Santa Run in Chania is one of the most special events of Crete Christmas! The Santa Run is a festive, charitable organization, a parody of the famous Santa Run held in various cities of the world every December whereby we will be walking the city streets of Chania wearing Santa Claus costumes. In this Santa Run official timing and medals do not exist. In our Santa Run we are all winners because we offer aid to children in need. A distance of 3,5 km is being covered in the historic and commercial center of Chania with the sole purpose of raising money for children with health issues. The carols are songs that commemorate the events of the Holly days and end with wishes for the landlord of the house. They are sung on Christmas Eve and New Year Eve, usually by children going from house to house and singing accompanied by the traditional triangle, the Cretan lyre, or other Cretan musical instruments. Years ago, the homemaker and housewife treated children “kourampiedes” “melomakarona” or other goods of the Cretan land, while now, the retreat is mainly money. 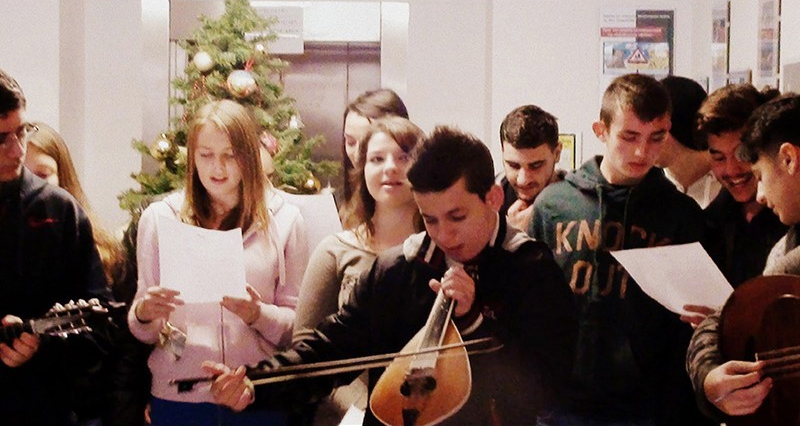 There are traditional Cretan Christmas carols and also, Christmas and New Year carols. 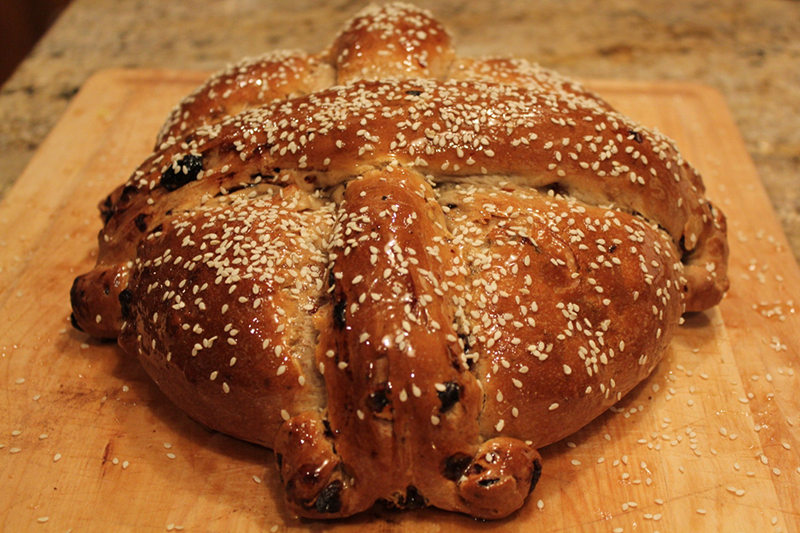 The Christmas bread or “Christopsomo” is made by Cretan women with care and patience. When they mold the dough, they take half of it and make a loop, while the rest is formed into a cross with strips put on the center of the loop, symbolizing the upcoming martyrdom. On the center, they put an unbroken walnut, and on the remaining surface they design shapes with a knife or fork, such as flowers, leaves, fruits and more. For the Christmas table, “Christopsomo” is essential for the Christmas table and considered as blessed bread. The breeding of the pig, being slaughtered on Christmas Eve is the main Christmas custom in most villages in Crete. Every year, each Cretan family breeds a pig and they slaughter it just before Christmas in order to make the traditional foods of Christmas from different parts of the pig. The day after Christmas from the meat of the pig were they produce sausages, “apaki”, “pixti” (the head of the pig with spices dipped in fat), “syglino” (smoked pork dipped in fat), and “omathies” (pork intestines stuffed with spices and greens). All these, and of course, the Cretan pilaf, “dominate” the western stuffed turkey on the Cretan table. 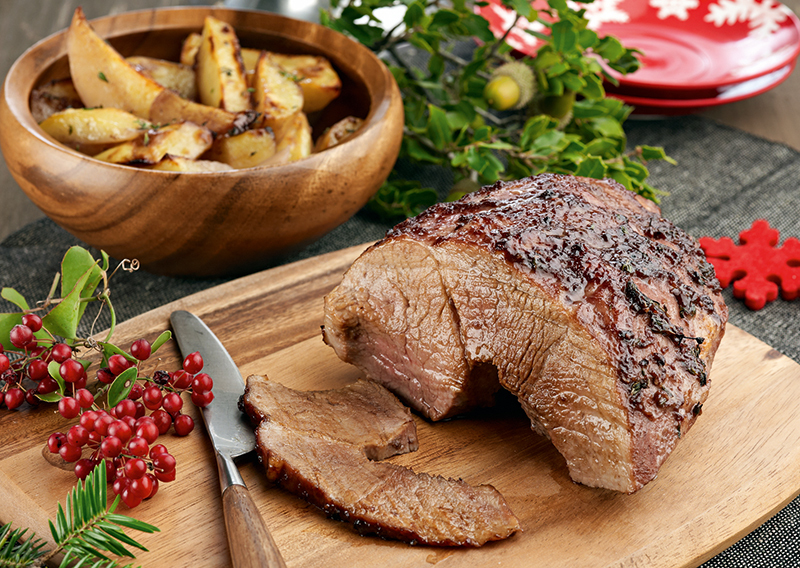 As every celebration, Christmas in Crete is a special journey into traditional Cretan recipes! 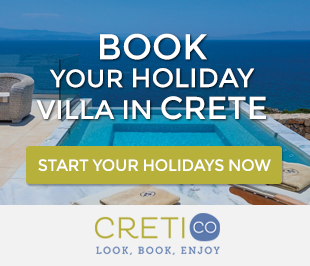 Posted on 12 Dec 2015 in Cretan Culture and tagged Feasts In Crete, Winter Holidays In Crete.